FAQs can be boring to read. Music festival tips and advice can be hard to find. So we've put both together, in one place, ahead of Ultra Europe 2016. Ultra Europe is one of the continent's biggest dance music festivals, and brings over 100,000 people to the stunning city of Split, Croatia, each July. Getting the right ticket information, important festival details and good advice from people who have been to Ultra Europe before can make all the difference to your festival experience. Here's everything you need to know, along with exclusive tips from our readers and Festicket staff. Tickets and packages are available to buy right now (just click this link)! What types of tickets are there? The following tickets are all available: Ultra Europe General Admission (GA) 3 Day Ticket, Opening Party, Boat Party, Ultra Beach and Resistance closing Party. Separate day tickets are also available here: Friday, Saturday, Sunday. Both General Admission and VIP tickets allow you entrance to the festival arena from 15 to 17 July. They do not include access to Beachville Camping, the official Opening Party and Resistance Closing Party, Ultra Europe Boat Parties, Ultra Beach. These events are all separately and individually ticketed. All event tickets are available here, while camping options can be found here. Can I upgrade from general admission to VIP? Unfortunately is is not possible to upgrade. You will receive an e-ticket. Bring it along to the wristband exchange point at the stadium. Wristband collection points and opening times will differ depending on who you purchased your tickets from. We'll confirm these closer to the event date, so please keep an eye on your email inbox for your information pack. We can’t cancel any ticket purchases. Name changes will only be available in certain cases. You must submit a written request to helpdesk@festicket.com. If we confirm a change is possible, any modifications will cost €10 / £8 / $12 per name. Can I change the date on my boat party ticket? Maybe! Email us at helpdesk@festicket.com, and we’ll see what we can do. How do I know Festicket is legitimate? 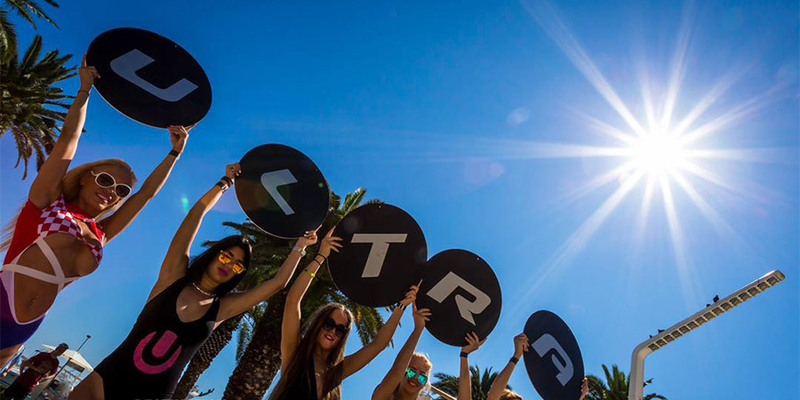 Festicket is an Official Partner of Ultra Europe 2015, and can be found under the Sponsors section of the festival website. Jessica: "You guys were great with all the info I needed! I will definitely buy from you guys again. Thanks for making my Ultra trip 100 times better!" Magdalena: "Ultra was just amazing and with your great help it was so easy to organise this trip! Thank you!" Will there be Boat Parties? Yes! There are 2 Boat Parties every day from 14 to 18 July, departing from Split and returning to the same location. The Ultra Boat Party is a unique experience that will surely be one of the highlights of the Ultra Europe week. Join more than 6,000 other young people who decided to upgrade their fun with a boat party. And what about shuttle buses? How do I get to and from Ultra Beach? To access Ultra Beach on Hvar Island, you need to book a return journey on a Catamaran, in order to get back to Split. The outward journey is at 1pm, and the return journey is at 1am. Tickets are available here. Are there any special deals? For Ultra Beach, you will want to stay on Hvar Island. Otherwise, you can book a return journey on a Catamaran, in order to get back to Split. The outward journey is at 1pm, and the return journey is at 1am. Tickets are available here. For the Closing Party, Vis Island is your best bet, otherwise you will, again, need to stay overnight and take the two-hour early morning ferry back to Split port. What is the Beachville Camping like? Facilities include restaurants, a mini-market, toilets and showers, a currency exchange office, an ATM, lockers, a charging station and WiFi. Beachville is located about 30km from Split. Are there hotels or apartments available? There sure are. There are plenty of options available with Festicket; camping, apartments, hotels. If you can, book accommodation on the route of bus services 3, 7 or 17 – these routes stop at or very near to Stadion Poljud (Poljud Stadium). Top Tip: Many of the accommodation options, including camping, will request a copy of your passport for ALL guests when checking in. Speed up the process and bring photocopies. You may also be required to pay a per-person deposit when checking in to your accommodation. Please check your accommodation voucher carefully! 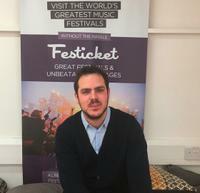 Festicket's Chris Marshall – "When checking-in for your accommodation, you will most likely need to visit a check-in point unless specified on your booking. Check your accommodation voucher for more information. Transfers from the check-in point to your accommodation will be available, either by affordable private transfers or by public transportation." What do I do if I’m arriving late? Please send an email to helpdek@festicket.com, so we can make a note. Name changes will only be available in certain cases. Write to helpdesk@festicket.com to see if we can change a name on your order. If we confirm a change is possible, any modifications will cost €10 / £8 / $12 per name. Can I add extra nights or change stay dates? If you need to change your existing order (move your stay earlier or later) we have to get approval from our suppliers. If we confirm a change is possible, any modifications will cost €10 / £8 / $12 per order. If you want to add days before or after, email us and we'll send you a private link! Unfortunately, we can’t cancel any accommodation bookings. Who will be on the lineup? This year's headliners are Above & Beyond, Adam Beyer, Afrojack, Alesso, Armin van Buuren, Carl Cox, deadmau5, David Guetta, W&W, Hardwell, Jamie Jones, Marco Carola… and the list of superstars goes on and on. Check out the full lineup here. Where can I find the set times? Full day and stage-splits can be found right now on our Ultra Europe 2016 festival guide. Set times will be released soon. Where are the Opening Party and Closing Party held? The Opening Party will take place at Giraffe Palm Beach Club (Hemingway Bar), located directly next to Stadion Poljud. It's a beautiful poolside bar, right on the ocean front. The Resistance Closing Party will be held on the island of Vis. Yes. Government-issued photo ID is required. A passport, drivers' license or other personal photographic ID will be accepted. Photocopies will not be accepted at the festival entrances. How do I get around Split and the festival? The local bus network is very good. Services 3, 7 and 17 stop right outside or just round the corner from Stadion Poljud. Top Tip: Bus passes are valid on all public bus routes. This will make travelling between your accommodation, the stadium and various other festivities an ease. The bus network is quite extensive though, so plan your routes ahead of time. You can find the shuttle routes here. Sukoisan Bus Station is the main bus station. The Ultra Europe transport info point was situated here in previous years. What currency does Croatia use? The Croatian Kuna, not the Euro! Even though some places may accept Euros, this is not general practice. Will there be mobile (cell) phone signal at the festival? There should be. The VIP (Vodafone) and T-Mobile networks have very strong signals in the area. Where are the festival information points located? Festival info booths will be located both in Split city centre and across the festival site. I have more questions! How can I get in touch? You can contact us on Social Media via Facebook & Twitter, you can email helpdesk@festicket.com, or you can call us on +44 (0)800 033 7132. How can I keep in touch during the festival? Tag your photos and posts with @festicket and #festicket on Twitter, Instagram and Facebook – plus, look out for exclusive Festicket competitions on our Social Media channels.